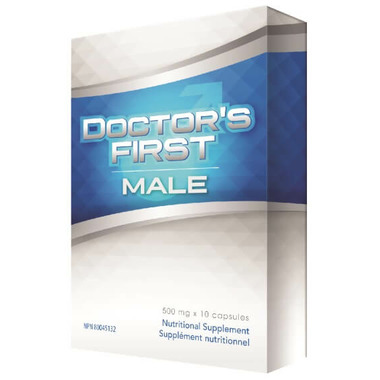 Doctor's First Male is designed and intended to improve energy and create healthy libido effectively and consistently. Stimulating VEGF (endothelial growth factor), an important factor in restoring erectile function. Dosage: Take 1-2 capsules orally with a warm glass of water at least 45-60 minutes prior to any sexual activity. For best results, take at least two hours after a meal. Do not repeat within 24 hours. Caution: For male adult use only. This product may cause some gastrointestinal discomfort in sensitive individuals. Do not use in the early stage of any bleeding disorder. Consulta healthcare practitioner prior to use if you are taking medications for diabetes, high blood pressure or seizures.